Days before the release of Unorthodox Jukebox, Gorilla (my new nickname for Bruno Mars) teases us once again with a new melodramatic ballad entitled When I Was Your Man. The song is the sixth track lifted from his upcoming album, which will be released on December 11, 2012. Personally, this song urges every guy to be their best. It exudes with much regret of doing what should have been when you still got the chance, because the moment you lose the one you love it's gonna be too late. Any wishful thinking will remain wishful thinking, unless you grab the now and offer the one that makes your heart go tremble with your best shots: not just what ifs and should haves. Bruno Mars has done it again! 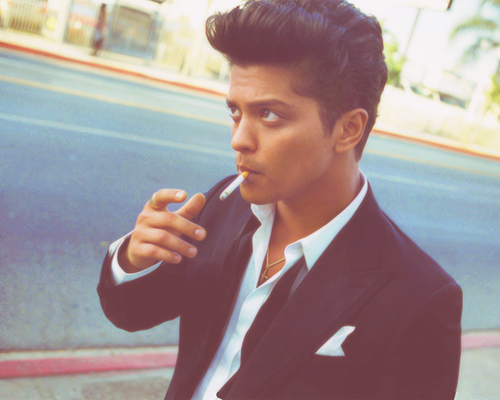 I wished I were as good as Bruno Mars. If I have his suave, and singing and musical process then I'd be the most contented person in the world. His songs simply put my troubled heart to rest and the calm that I feel every time I listen to them is paramount. This is really unfair... why do other people get what they want, while I suffer not having achieved mine and leaving me with an unfulfilled feeling.... #Discontented.